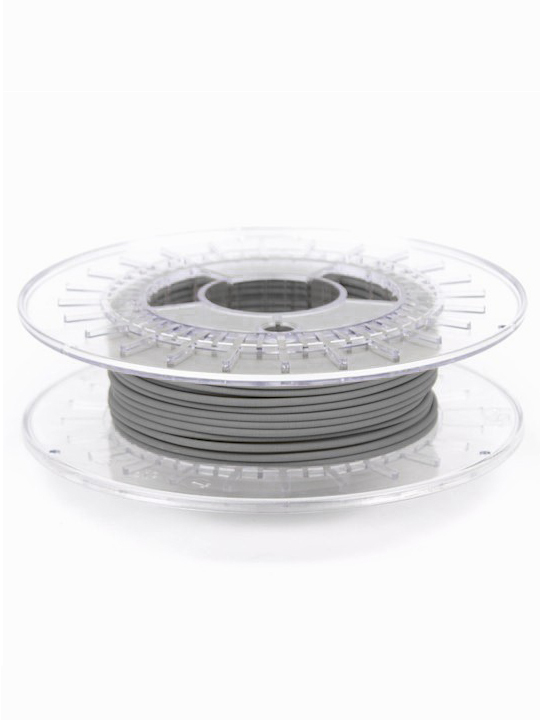 1.75mm, 3d printing, 3D printing filaments, colorFabb, consumables, filaments, pla/pha, pla/pha filaments, spools. 3d printing with metal on your own desktop 3d printer: what we have to tell more than this? This kind filament will allow you to print with pretty real steel; straight from the printer the parts look almost laser sintered, with a matte finish. In fact it is PLA/PHA, with 80% of fine steel powder, and the magic starts here: With a bit of sanding and polishing the particles will start to shine unlike any 3d printing filament you have seen before. Now you can make jewelry that won’t feel like cheap lightweight plastic parts.. Remember: there is no need to have a heated bed to start experimenting with this filament. Here is a good video from Adafruit about how to print with Copperfill and Bronzefill: enjoy!